Apps Watch in Healthcare: Incorporating patient-generated data to assist diagnosis. Incorporating patient-generated data to assist diagnosis. From time to time, we report news and perspectives on the latest in healthcare app development, and the use and potential for new apps in healthcare, and especially radiology. Several key trends in healthcare are converging to change the way we collect and employ data to help clinicians collaborate for the benefit of patient outcomes. Patient portals today often give patients the ability not only to view their own medical records, but also to supplement them with personal observations and findings that can often aid the clinician in a diagnosis and in the evaluation of a course of treatment. A recent Harvard Business Review article by John Halamka, CIO of Beth Israel Deaconess Medical Center (BIDMC) describes how this newly possible collaboration between a patient and his doctors works, using his own personal experience. The collaboration resulted in the patient (Halamka) gathering a stream of data leading to a diagnosis at which the clinicians might not have arrived in the same timeframe. Halamka used a blood pressure cuff that connects to an iPhone app (BIDMC@Home). He took blood pressure readings before and after potentially “anxiety-producing” events to feed into the EHR for evaluation. 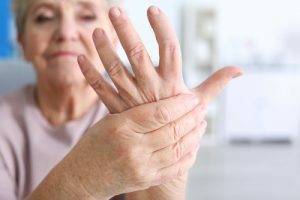 The EHR added other health factors into consideration and offered clinical guidelines to achieve a successful outcome. And now that so many apps are available to help patients track and report on their health to clinicians, it makes sense for any enterprise planning to improve its enterprise collaboration to take this type of data storage and access into account as it moves into the future. For an overview of some of the recent apps available to clinicians, see our earlier Apps Watch post. 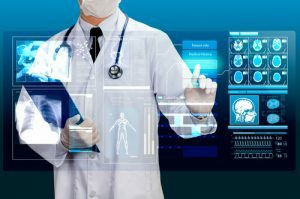 Looking beyond incorporating patient generated data into the EMR, one may already start to wonder how does it all come together? Big Data in healthcare is another hot topic and we will be exploring our role at the upcoming Arab Health Big Data Conference. Stay tune for that blog. How is your enterprise incorporating patient data into your clinical workflow? We’d be interested in hearing about your experience. 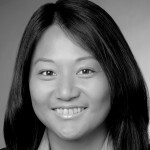 Cristine Kao is the global business development director for Carestream’s Healthcare Information Solutions business. The post Apps Watch in Healthcare appeared first on Everything Rad.